Port Alberni was named after a Spanish officer by the name of Captain Pere d’Alberní. It’s primary and most lucrative industry is forestry. 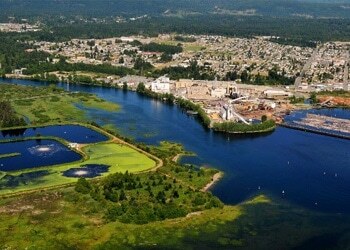 The Port Alberni Mill produces a whopping 340,000 tonnes of paper each year. The lakes and rivers in the area are a popular place to go salmon fishing. Port Alberni also has some of the best hiking trails on Vancouver Island. Port Alberni, BC residents looking for advice or help with securing a mortgage give ResCom a call today at 855-585-2080 or visit our contact page and experience the difference. Did you know that ResCom is always looking for mortgage agents in the Port Alberni area to join our winning team? If you’re seeking a rewarding position as a mortgage agent with a company that is proven, trusted and experienced, visit our mortgage careers section today!